You may want to plan extra time in Ely before or after your canoe trip. Ely is home to the International Wolf Center and the North American Bear Center. Both are research-based institutions with resident animal packs. They are educational, interesting and worth a visit. Renowned National Geographic Photographer Jim Brandenburg has an impressive gallery in Ely, and there are many interesting shops to peruse around town. You may also experience some of the area hiking trails. 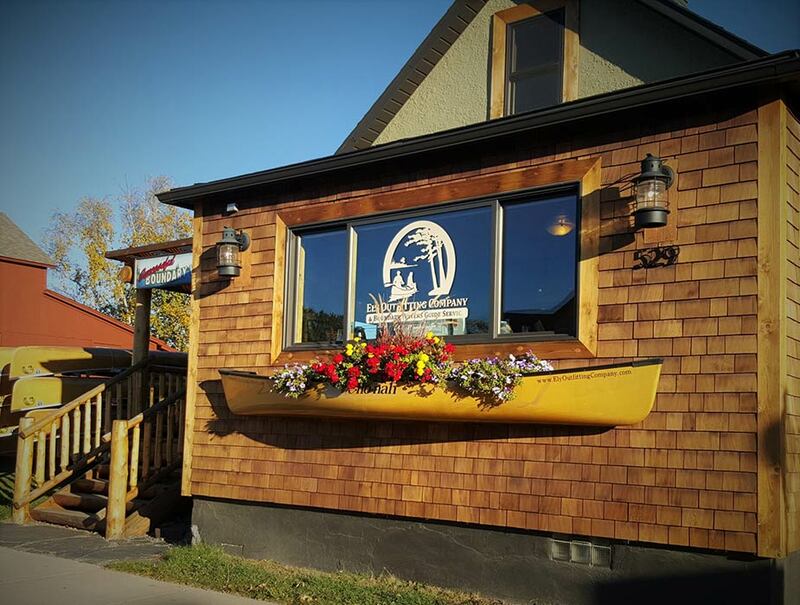 Boathouse Brewpub & Restaurant - 47 E. Sheridan St., Ely - 218-365-4301. This is Ely's microbrew. They serve their own specially crafted brews. Their restaurant serves a basic breakfast at a good price. Chocolate Moose - 101 N. Central Ave., Ely - 218-365-6343. American food done well with excellent ambiance in a log building, or on the deck. Save room for their excellent desserts, and particularly for the Chocolate Moose Pie. Reservations are a good idea. It is also a good breakfast spot with good coffee. Ely Steakhouse - 216 E. Sheridan St., Ely - 218-365-7412. If you're looking for steak, go to the Ely Steakhouse. You will not leave hungry. This is a great choice for the meat and potatoes crowd, and a good spot to celebrate after your canoe trip. Stony Ridge Café - 60 West Lakeview Place, Ely - 218-365-6757. Stony Ridge is within the city limits, but you'd hardly know it. They have indoor seating, but the outdoor seating on the shores of Shagawa Lake is the place to eat a burger outdoors in Ely. And to say they have burgers is an understatement. Pick from dozens of varieties of the best burgers in Ely - some say the best burgers in Minnesota.